Although it has mostly played second fiddle to Electronic Arts’ FIFA series, Konami’s Pro Evolution Soccer is still one of the best-known sports franchises out there, and has loyal following that swears by its top-notch gameplay, visuals and style. So, it’s clear that PES fans are highly anticipating this year’s edition, which will be hitting shelves this September. This comes in the wake of a controversy involving the use of former superstar Maradona’s likeness in last year’s PES 2017. 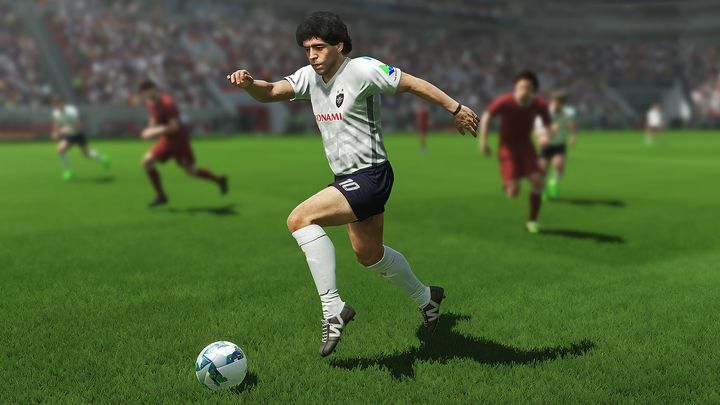 The matter was settled amicably last May, though, and as a matter of fact Maradona has now become a PES 2018 ambassador as can be seen on the game’s official website. And in order to let players sample their upcoming sports release, Japanese video game company Konami will be running an open beta until July 31. This will let you get a taste of this new PES game and find out whether Konami’s new soccer title is worth your hard-earned dosh or not. The beta will be available on PS4 and Xbox One, although there is one caveat for Xbox One owners: access to the beta requires an Xbox Live Gold subscription, while those gaming on PS4 can do without a PlayStation Plus subscription. But still, this at least allows you to try both online co-op and a quickmatch. You can play 1v1 versus a friend or team up with more people and play a 3v3 match. Weather conditions and the selection of teams is rather limited though, as you can only choose between rainy or fine weather, and will have to settle for either France or Brazil as your choice of team. In order to download the beta, you can use this link if you’re on PS4, while Xbox One owners can get the beta through this link. This could be a great opportunity to try out one of this year’s most eagerly awaited sports games then, especially taking into account that the 2018 edition of PES will feature enhanced visuals, better online co-op and more single player gameplay modes, while the PC version will also be getting a significant upgrade according to Konami. Note: Pro Evolution Soccer will be released on September 12, 2017. Available on PS4, Xbox One and PC.